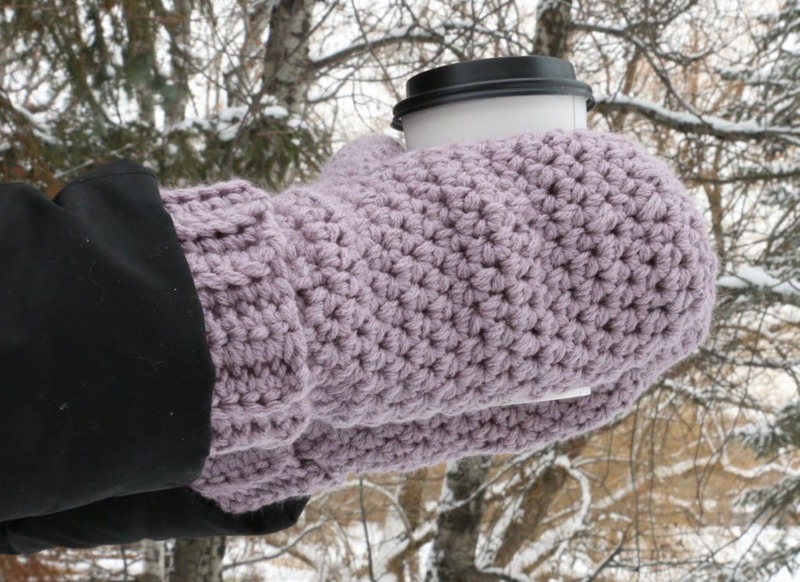 Once of my most requested tutorials has been… beginner friendly crochet mittens! 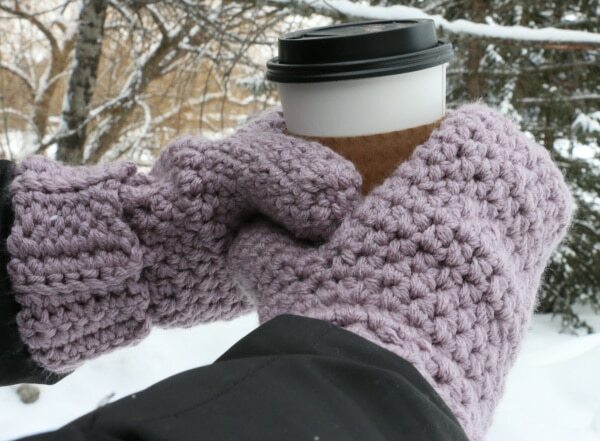 I went to Montana last week, so I was in need of something to help keep my hands warm, so this was a great chance to make these for you! Ad free PDF can be found HERE! 2 skeins of Red Heart with Love or any two large balls of worsted weight yarn. The color I used is Dusty Grape. K (6.5mm) crochet hook A nice J,K,N hook set. One size fits most. If you have small hands you can do less rounds for the mitten body. Start with 2 strands a create a slip knot. 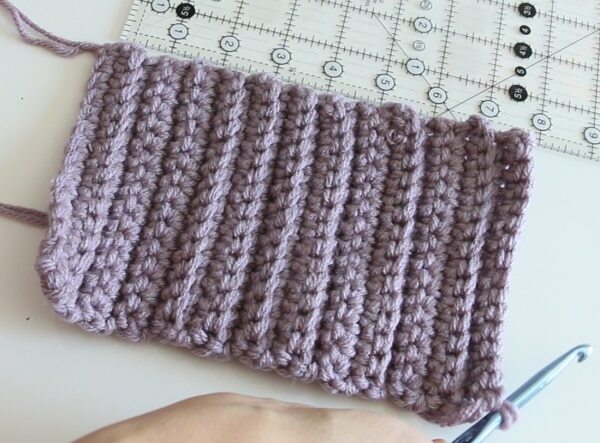 Repeat rows 1-4 until your cuff measures 8 inches. 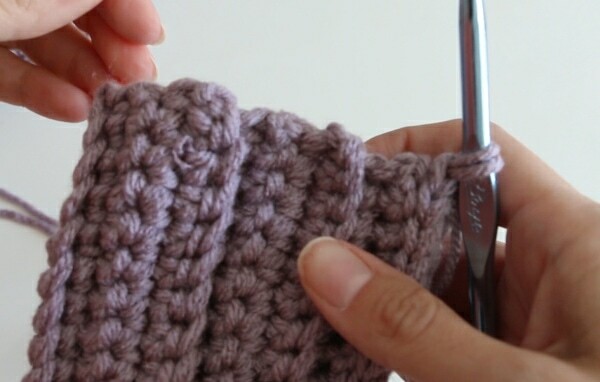 Join short sides of cuff with slip stitch, do not trim or finish off yarn. 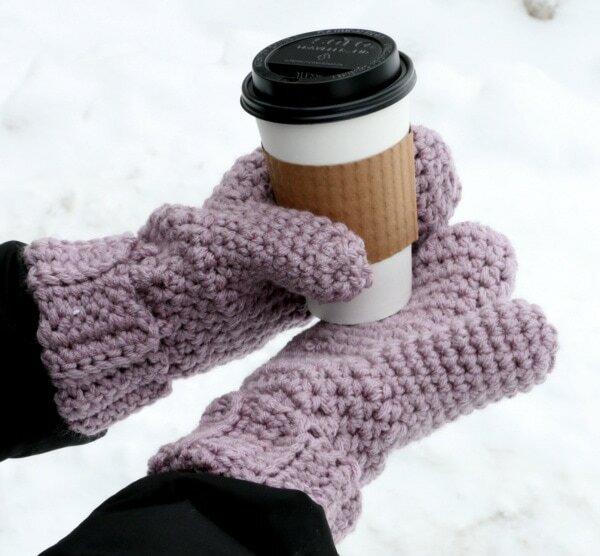 Decide ahead of time if you want this to be your Right or Left mitten. Round (rnd) 1 place a hdc at the end of each row from the cuff. 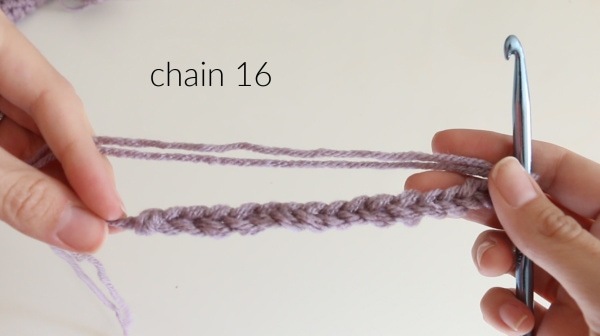 At the end of the round, place a stitch marker and continue with your hdc in a spiral. 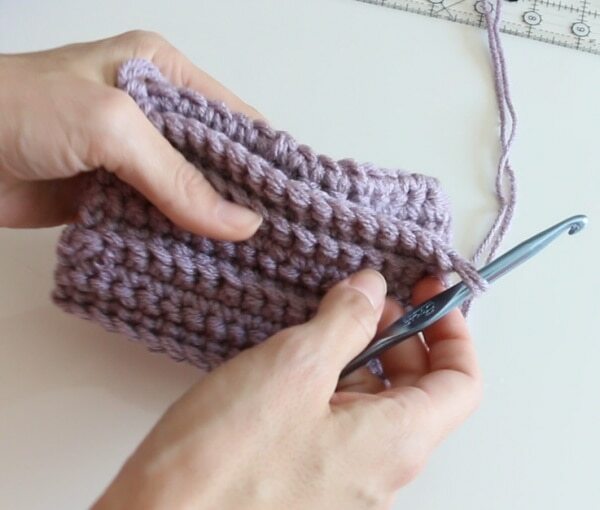 No need to sl st and ch 1.
rnd 2-5 – place 1 hdc in each stitch all the way around. rnd 6 – Before you begin the 6th round place 6 slip stitches to allow for thumb hole. 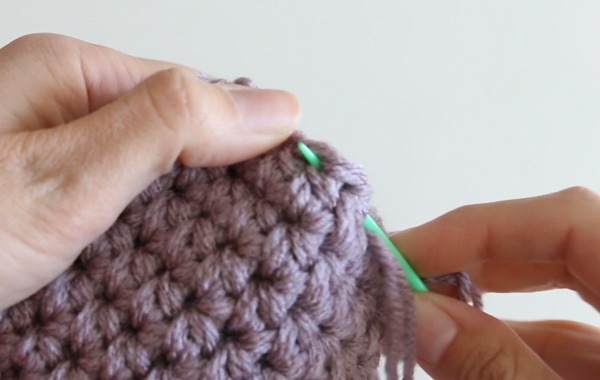 The stitch directly above the stitch marker should be slip stitch #3. 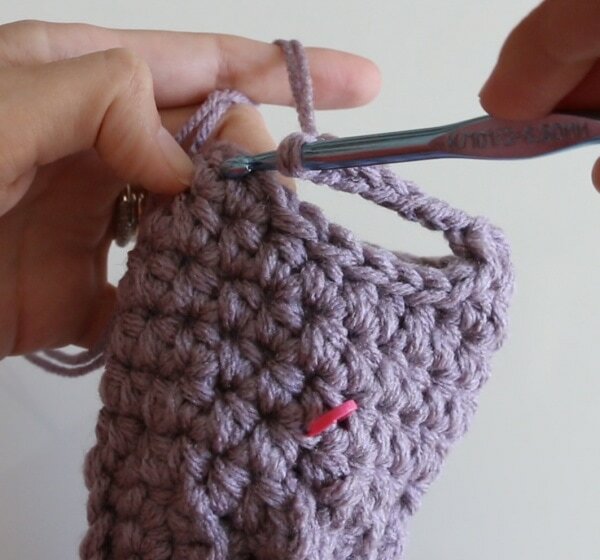 After the 6 sl sts, hdc for the rest of rnd 6.
rnd 7 – As you finish rnd 6 and reach the slip stitches from the previous round, ch 6 to go “over” the slip stitches. 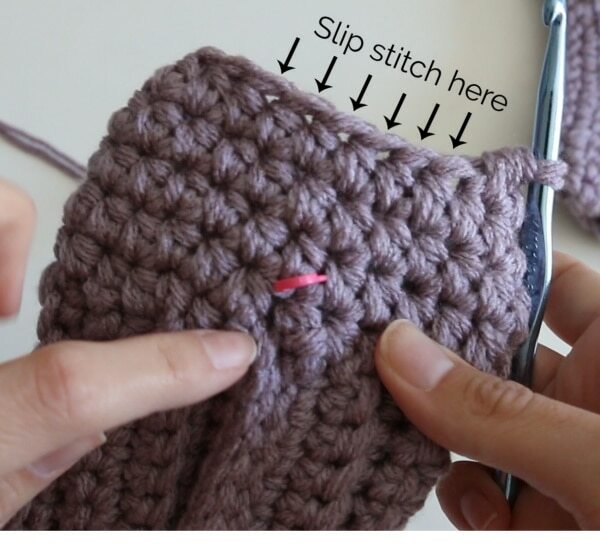 You will skip those 6 slip stitches and then continue hdc. rnd 8 – 1 hdc in each stitch going all the way around including the ch 6.
rnd 10 – 1 hdc in each stitch all the way around. Place 2 hdc2tog on the palm side of the mitten. rnd 17 – 1 hdc in each stitch, Place 2 hdc2tog on the palm side and finish the round with a sc and sl st to smooth out the round. Thread the long tail through a yarn needle and sew through the top of the stitches from the 17th round. Pull yarn tight and weave in ends to secure the opening from the outside of the mitten to begin with, but then insert the needle and finish from inside the mitten. Weave in any ends and trim. 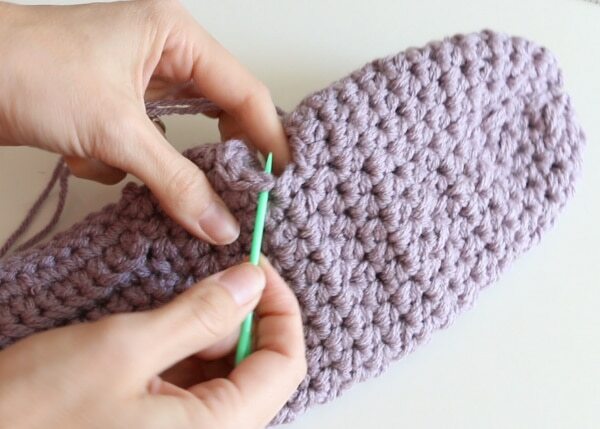 attach yarn to opening on the palm side of the mitten. pull up with hook and chain 1.
cinch up the end of the thumb in the same way as the top of the mitten. Copyright: You may not sell my patterns, claim them as your own or distribute them. Please direct friends or those interested to the free blog post or ad free pdf. You may make items to sell (i.e. on Etsy, at craft fairs) from my patterns but please link back to my blog and provide pattern credit. 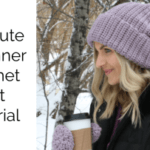 You are welcome to share finished items from my patterns on social media, but please tag me and share the pattern link. 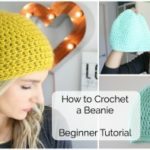 Pretty new to crocheting. 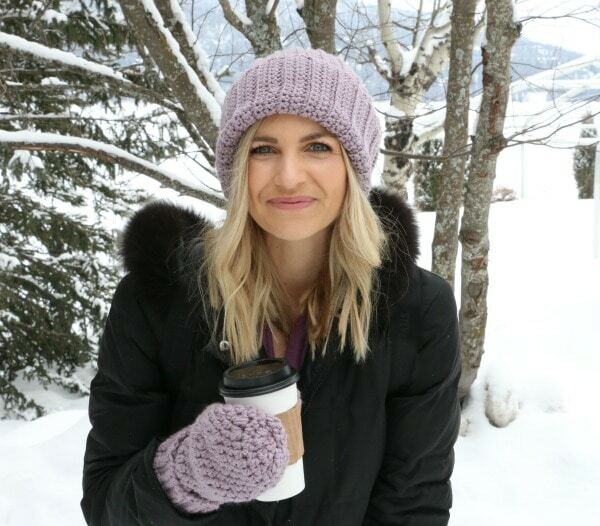 Have made a couple of your beanies and want to try the mittens and hat. 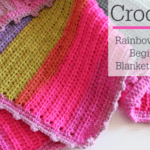 So if I read correctly, you use two strands at once to crochet with, instead of just one? Thank you for posting. This will be the perfect project for my long plane ride to Maui next month. Hope they don’t confiscate my hooks! I’ll post pics when done. I am not sure how to do the right mitten! Please advise. Thanks for this, Melanie! I began my own pair right away and am almost done! 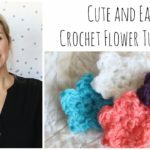 Super cute, easy, and fun! Keep the posts coming! This is definitely on my list to make. Thank you for posting the written and making a video.